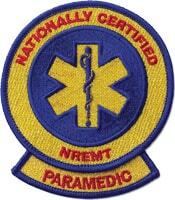 The traditional Paramedic recertification program requires a total of 72 hours of continuing education to recertify. This model includes a refresher course and continuing education. 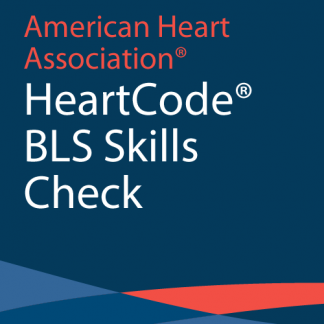 All Paramedics recertifying with the traditional model are required to show proof of BLS-CPR (or healthcare provider level equivalent) certification and ACLS current through the NREMT expiration date (March 31). Continuing education topic hours: Paramedic refresher may be completed by continuing education* and must include the topics and hours listed below. A maximum number of 10 hours can be applied from distributive education All hours must be state or CAPCE approved. * Some states require the traditional refresher course and will not accept continuing education hours. Please refer to your state’s particular requirements. A maximum number of 12 hours can be applied from distributive education towards this section and must be state or CAPCE approved. Credit can be applied for college courses that relate to your role as an EMS professional (1 college credit = 8 hours of continuing education, not to exceed 12 hours per topic). For example, but not limited to anatomy, physiology, biology, chemistry, pharmacology, psychology, sociology, statistics, etc. Hours from the following courses can be applied hour-for-hour with no maximum: Advanced Trauma Life Support, EMS Course Instruction, and Wilderness EMS Training. Courses that Cannot Be Applied towards Additional Continuing Education Hours: Clinical Rotations, CPR, EMR Course, instructor courses, management/leadership courses, performance of duty, preceptor hours, serving as a skill examiner, and volunteer time with agencies. The 2016 Paramedic National Continued Competency Program (NCCP) requires a total of 60 hours of continuing education to recertify. The model contains three components, or ‘buckets’: a national component, a local or state component, and an individual component. The national competency component requires all Paramedics to obtain 30 hours of continuing education. The topic areas for the national component is published by the NREMT every four years. The most recent revision of the National Component was published in October 2016. 10 hours of distributive education may be applied in this category. download the 2016 NCCP Training Guide. The local or state competency component are developed at either the local EMS level or may be specified by your State EMS Office, EMS region directors (if applicable), or agency level administrators (for example Training Officers and Medical Directors). If specific state or local requirements are not specified, these required hours are considered flexible content. You may use any state or Commission on Accreditation for Pre-Hospital Continuing Education (CAPCE)(Formerly known as CECBEMS) approved EMS–related education to fulfill these requirements. The individual hours are considered flexible content. You may use any state or Commission on Accreditation for Pre-Hospital Continuing Education (CAPCE) (Formerly known as CECBEMS) approved EMS–related education to fulfill these requirements. 15 hours of distributive education may be applied in this category. Current certificates expire at midnight, Eastern Time, on December 01, 2016. To ensure you receive your recertification notification from the department, your current mailing address must be on file. Failure to recertify an active certificate by the expiration date will result in the certificate being placed in an involuntary inactive status. Failure by an involuntary inactive certificate holder to recertify within four years after the expiration of the current certification cycle renders the certificate null and void without any further action by the board or the department. Licensees requesting to reactivate their license from inactive or retired status are required to pay additional fees and comply with specific continuing education requirements. 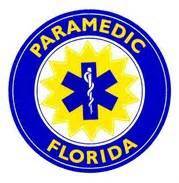 Please contact the board office at mqa.emt-paramedics@flhealth.gov to request your reactivation requirements.